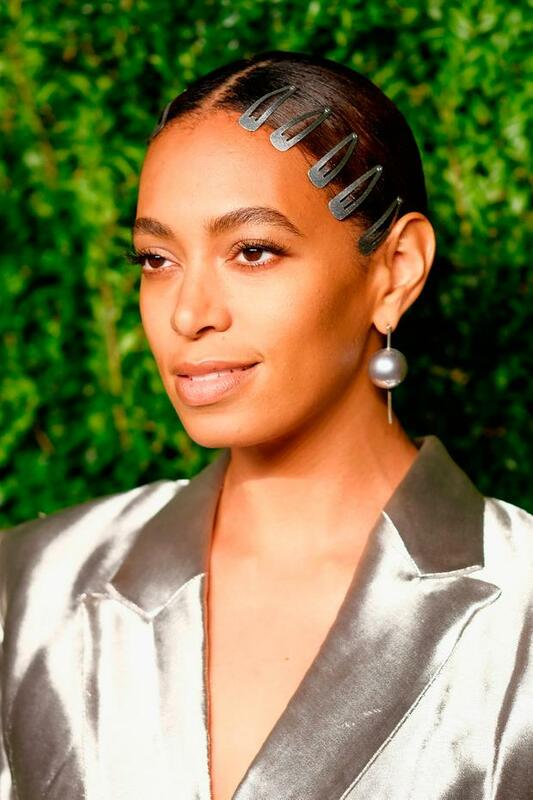 Solange Knowles has brought back the '90s hair clip trend - and we're loving it. 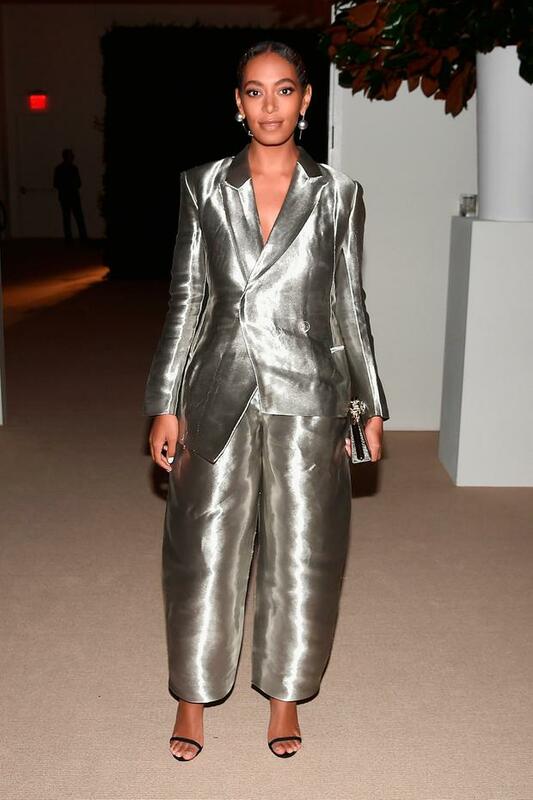 The Losing You singer stepped out with a line of snap barrettes along the front of her hairline at the annual Vogue Fashion Fund Awards on Monday, giving us major '90s hair nostaligia. You may remember these clips as the ones that had to be pushed into your skull to get them to close, while being wary not to put too much hair inside for fear of them popping back open. 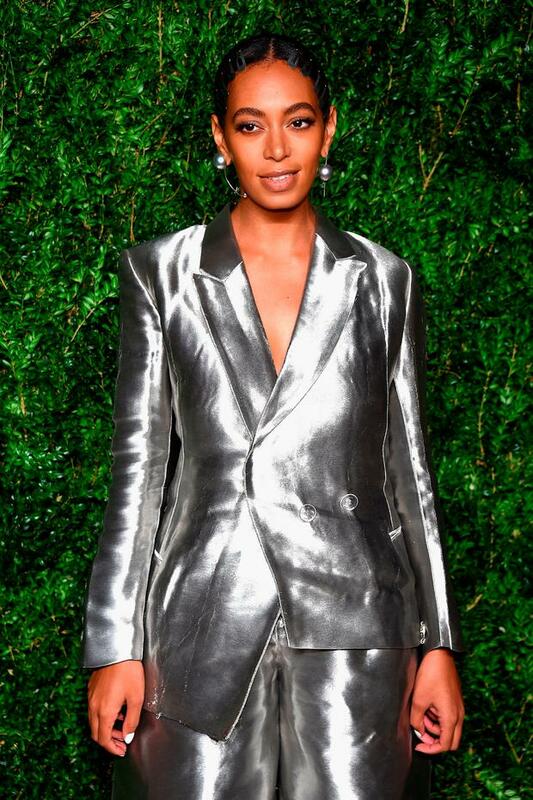 Solange opted for five slate grey sparkly clips to match her metallic suit, proving that the '90s trend is here to stay. Barrettes are an affordable and easy way to upgrade your hairstyle, and work particularly well if you're growing out a fringe or struggle with pesky fly away hairs. Even better, the slicked back style conceals hair that hasn't been washed in a few days, making it a nice change from loadings of dry shampoo and a messy bun. Tina Brennan from Red Velvet Hair Salon, Malahide, told Independent.ie that the '90s hair trend is back with a bang. "I've definitely seen an increase in people asking for '90s style hair," she said. "People are asking to get their hair crimped, for big hair, it's all coming back. Customers love volume, back combing and lots of body." "Pin curls are huge at the minute, which uses clips to keep the curl in place." So, get rooting through your old hair accessories box and round up your snap barrettes - the more sparkly the better.